The Leeds University Library is the collective name for all of the library resources across the whole of The University of Leeds. It is one of the largest research libraries in the UK and so it is a great resource for completing compulsory reading, finding sources for coursework, and doing any additional reading around your course. This blog will detail the range of options you have when using the library as a student at The University of Leeds. Many students at the University of Leeds make use of the Leeds library study spaces between lectures to get work done and access hard copies of texts. Students who don’t live on campus find the library to be a particularly useful resource when it’s too far to travel home to study between lectures and classes. Leeds libraries get particularly busy around coursework deadline dates and exam times, so at these points in the year, my advice would be to get there as early as possible to ensure that you get a seat. The Brotherton Library is a located in the Parkinson Building at the front of the main campus on Woodhouse Lane and is the main social sciences and arts library. Therefore, it’s likely that you’ll go at least one time over the course of your degree. Even if you don’t need to go, I would recommend going for a visit nevertheless. 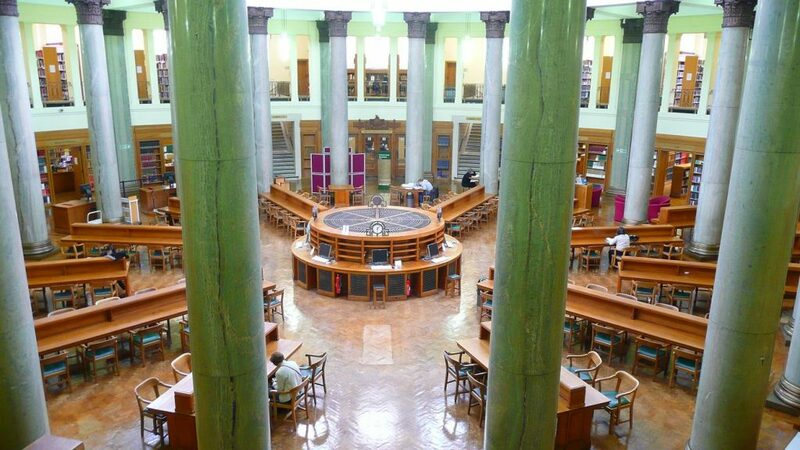 The Brotherton Library is the oldest of all the University of Leeds Library buildings, dating back to 1936, and boasts both a Grade II listed Beaux-Arts building and art deco styling, making it a stunning example of traditional library architecture. Monday – Thursday: 8am to 8.30pm. Saturday – Sunday: 10am to 5pm. Floors 1 and 2 of the main building will close 30 minutes before the closing time. The West Building and computer cluster will close 15 minutes before closing time. Costa Café in the Parkinson Building before the library entrance. The Edward Boyle Library is in the centre of campus and is the main science and engineering student library. The Edward Boyle Library was fully renovated as of January 2017, so it now provides some very comfortable and modern study spaces to work in. A handy tip when it come to the Edward Boyle Library is that there is a pathway that connects it to floor 10 of the Roger Stevens Building. This is a great short cut to get to floor 10 of the Roger Stevens Building as the staircase can get very busy, and can be very handy if you have a break before or after a lecture in Roger Stevens as you can quickly access a library and make the most of your break time. Monday – Thursday: 8am to Midnight. Saturday – Sunday: 10am to Midnight. The library staff will begin to close the library 45 minutes before closing time. Level 8 is the first to be closed, and then the floors are closed from level 13 down to level 9. The teaching computer clusters will close 15 minutes before closing time. Bookable group rooms and booths. Café located in the library building. The Laidlaw Library was built in 2015, making it the newest of all the Leeds library buildings. 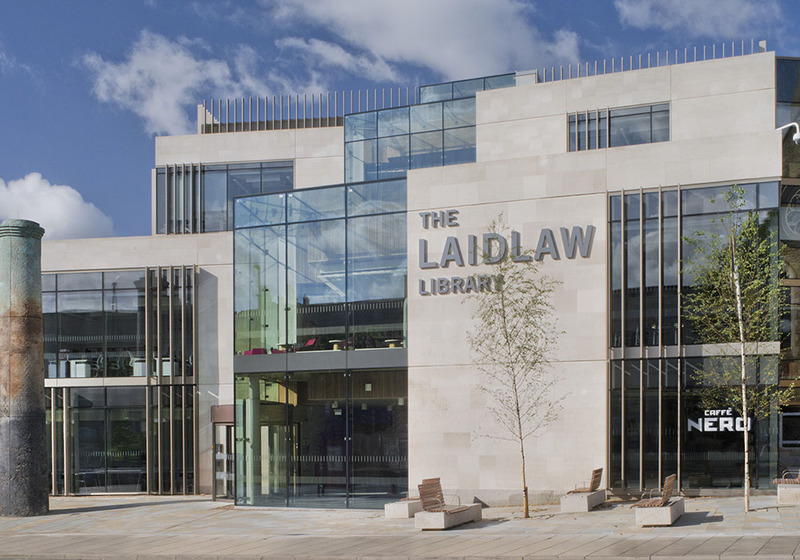 It mainly holds resources aimed at first and second year undergraduates, so it is very likely you will use the Laidlaw Library very regularly during your time at Leeds. Laidlaw tends to be the busiest of all the libraries and this can result in a lack of spare seats at most points during the core study hours. To avoid the risk of not getting a study space, I would advise either getting there early or choosing a quieter library. Caffé Nero where you can get 10% student discount with your University of Leeds student id on all goods. All the Leeds libraries that I have mentioned until now are much more centrally located on campus, so they’re useful to access as spaces to get work done even if they don’t hold resources related to your degree. The Health Sciences Library primarily contains the university medical record, and so unless you are studying a degree with a medical relation then you are unlikely to need to use it. The photocopying and training rooms will close 15 minutes before closing time. After 6.30pm and at weekends the entrance to the Worsley Building from the walkway by the Garstang Building is locked, and so you will need your student card to gain access. After 6.30pm and at weekends there is no access to the library from Clarendon Wing or Clarendon Way. Café Seven in the Worsley Building. The St James University Hospital Library is a small satellite site of medical collections, so again will only be relevant for you if you’re doing a medical or related degree. This library is located two miles from the main campus on level three of the Clinical Sciences Building. Monday – Friday: 9am to 5pm. Many shops and places to eat across St James University Hospital. Do the libraries open during the holidays? All the Leeds libraries open throughout the holidays. However, you should always check the opening times before you go as every library operates shorter opening times and will close on certain days. All libraries will be closed between 22nd December and 1st January this year. All libraries will be closed between 30th March and 3rd April. All libraries are closed on Sundays, with the St James University Hospital Library being closed on a Saturday and Sunday as usual. All libraries will be closed between 25th August and 28th August. Edward Boyle Library, Laidlaw Library and Health Sciences Library operates a self-service only system on Saturdays. Look for alternative study spaces. Most faculties have study spaces within their building area. For example, the University of Leeds Business School have both a student study space and a computer cluster which can both be used to work in. 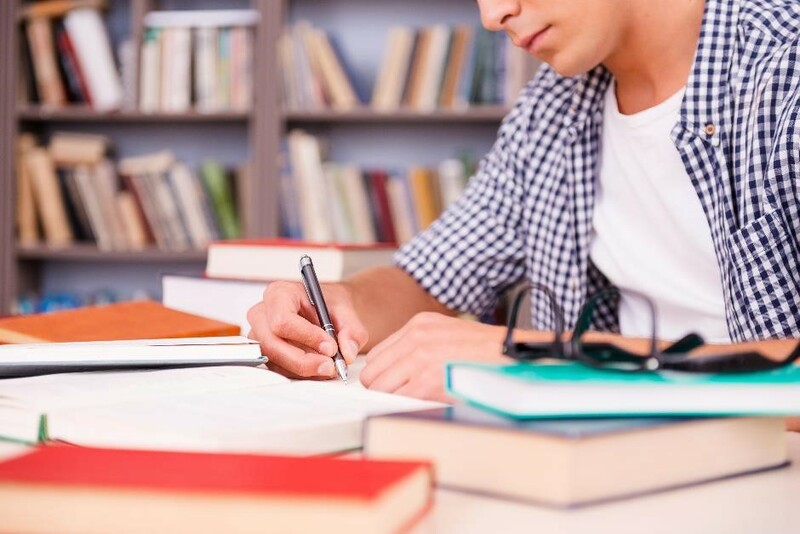 It may be worth looking into what study spaces are provided by your faculty if you want to work but do not need to use any physical library resources. Make the most of online resources! Leeds has an extensive collection of online resources available to students. Many students choose to go home after lectures or use alternative study spaces in between lectures and access library resources remotely. Although it isn’t possible to access every resource online, many texts have recently been transferred into online versions, and so you can access many of the library resources both without needing to take out a book, or even being on campus at all. Therefore, you really can work from anywhere you choose.